A virtual marketplace expanding the frontiers of renewable energy. It's time to update the grid. With the demand for renewable energy surging, it no longer makes sense for centralized grid operators to control the flow of resources. Providing widespread access to clean energy means going peer-to-peer. The peer-to-peer, or "roof-to-cable" energy movement is about connecting producers of clean energy with those who wish to purchase it. Just as local agriculture is enjoying a renaissance thanks to the farm-to-table movement in modern cuisine, so too is the solar industry poised to flourish in the age of peer-to-peer transaction. 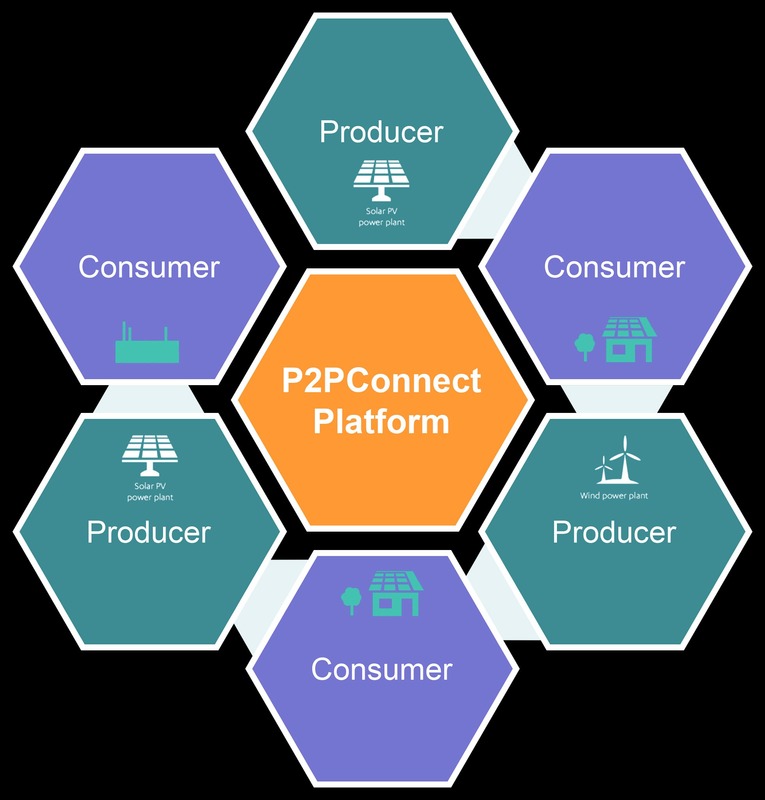 Power2Peer's app-based energy marketplace—P2PConnect—will open up entirely new market segments to the reach of solar generation. For community members unable to pursue the long-term investment of a rooftop solar panel installation, buying locally sourced clean energy is an easy and affordable way to buy into the sustainability movement. Corporate clients and small businesses alike will see immediate value and branding upside in offsetting their carbon footprints with energy that's there even when the main grid goes down. By expanding the customer base, the P2PConnect energy marketplace enhances the value of solar energy. This means wins for the renewable industry at large and small-scale solar producers. In many cases, "prosumers"—residential producers of solar who also consume energy—will be able to achieve 100% sustainability through the P2PConnect marketplace. The P2PConnect™ platform MVP uses a mobile app to register producers and consumers. All energy transactions are logged in the blockchain ledger. The software defined network controller (SDNC) creates optimal connections between clean energy sources and end-users. P2PConnect™ is a free downloadable app that is designed to bring you clean energy at the best price by reducing the transmission and management costs of the kilowatts delivered. Customers will have access through the app to a ledger of all transactions on the blockchain as well as their billing and usage statistics (see Figure 3). Solar is in a unique position to capture the clean energy market: a staggeringly large portion of the earth's surface lies near the equator and is perfectly suited to convert the abundant energy of the sun into electricity. World electricity needs are now approaching 1.7 terawatts per day; an amount that could be generated by a solar farm of 324 square miles in sub-Saharan Africa! An investment in Power2Peer is also an investment in the quality of life of millions who lack access to power. Power2Peer is committed not only to reducing carbon emissions globally, but working to provide microgrid energy to millions of households currently in the dark. From India to Sub-Saharan Africa, there is great demand for sustainable energy projects in places that have been left off the grid. With Power2Peer's advanced solar microgrids, communities can build resilient energy infrastructure for the first time, powered by the abundantly available energy of the sun. Invest in the future of our planet today! Thanks to Regulation CF, now everyone can own a stake in our advanced solar power platform! Power2Peer is empowering communities to opt for more efficient and more resilient energy systems. By opting for Power2Peer's blockchain-enabled solar microgrid energy trading platform, individuals and communities will be able to significantly reduce their energy bills by choosing cleaner sources of energy. This means both a smaller carbon footprint and a more resilient power supply they can depend on. By taking a small fee from each energy transaction as well as for connecting solar nanogrids to larger microgrids, Power2Peer will demonstrate a viable business model and show the world that together, change is possible. Power2Peer is an advanced solar power company providing clean energy to the community by establishing decentralized networks of solar microgrids. Microgrids connect arrays of solar panels producing up to 1 MW of energy. Communities with access to the microgrid will receive cleaner, cheaper, and more reliable power from the closest microgrid. This will decrease the cost of energy as there will be no or little distribution and transmission cost. Microgrids powered by IoT (Internet of Things) devices, Software Defined Networks (SDN) and blockchain technology will create a resilient power distribution. IoT are sensors that send data to SDN via blockchain ledger. Blockchain has four key attributes making it well-suited to such work: the blockchain ledger is decentralized, ensuring its veracity; smart contracts allow transactions to be automated for optimized ease of use; transactions require the consensus of decentralized computational work for verification; and once verified, those transactions are therefore immutable. The Power2Peer Connect App will be the dedicated platform for managing power production, billing, and energy trading. Consumers and prosumers (consumers who are also producers) using the P2PConnect App will take part in lowering the cost of energy in a marketplace that is secure and transparent. Prosumers will be able to register their solar panel output and take advantage of selling extra energy at near-market value. Serving as an access point to the blockchain ledger, the P2PConnect App will not only manage power consumption and billing but also allow peer-to-peer transaction of energy. Consumers and prosumers are will be empowered to choose a cleaner, cheaper, and more resilient option to address their energy needs, and will thus become less dependent on the carbon-heavy grid by joining the new peer-to-peer energy economy. Boston, MA, August 13, 2018 –(PR.com)– On Thursday, August 9th, Boston-based energy blockchain company Power2Peer launched a crowdfunding equity sale via StartEngine's fundraising platform. Power2Peer, which was founded in 2017 by MIT alumnus and renewable energy veteran Dr. Nish Sonwalkar, is a company based on the concept of the blockchain-enabled adaptive solar microgrid network. 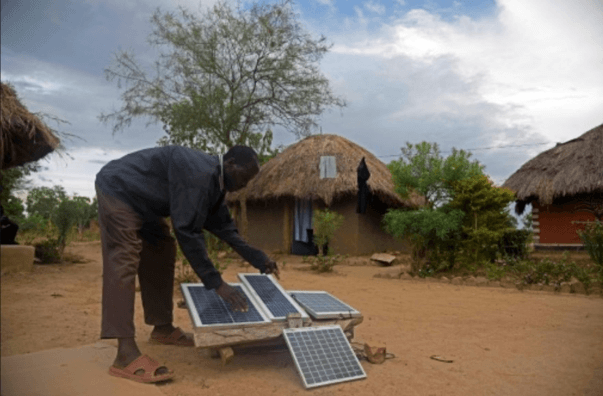 Such networks connect solar power producers and consumers with the goal of more efficiently and profitably utilizing available solar energy. According to Greentech Media, other energy-facing blockchain companies have raised over $300 million since Q2 2017. Power2Peer is now seeking investors to purchase equity through a StartEngine campaign, whose proceeds will fund company operation going forward. In their white paper, Power2Peer outlined a goal to launch blockchain-enabled adaptive solar microgrids in 28 cities following demo sites in Massachusetts. Power2Peer has been an active player in Boston's tech-friendly renewable energy community. Events hosted by the company this year have attracted hundreds of guests, many curious about the future of blockchain as it pertains to solar power. FAQ: What Is an Equity Crowdfunding Campaign? Click here for the full investor Q&A. As you may be aware, Power2Peer is currently conducting an equity crowdfunding campaign via StartEngine. But what exactly is a "crowdfunding campaign, " and how does it differ from other forms of fundraising? In 2016, the SEC began allowing non-accredited investors to invest in companies for equity. An equity crowdfunding campaign allows a company to offer private company securities to investors. As opposed to donation-based crowdsourcing campaigns, equity crowdfunding campaigns actually offer investors real shares of the company in exchange for their investment. So, in addition to financially supporting the company you invest in, you are also buying a piece of that company. The more you invest, the more shares you own. By investing in Power2Peer, you will not only help the company achieve its goals; you will share in the dividends of that achievement. P2PConnect App allows customers to manage, trade, and track energy from anywhere. Energy storage for later use or sale. Enables a new energy economy by creating a market place for energy trading. If you are interested in the latest articles in the industry, take a sneak peek at our blog. You have nothing to lose!